I have tried many language apps (Duolingo, Babble, etc.). NONE better than Nemo! 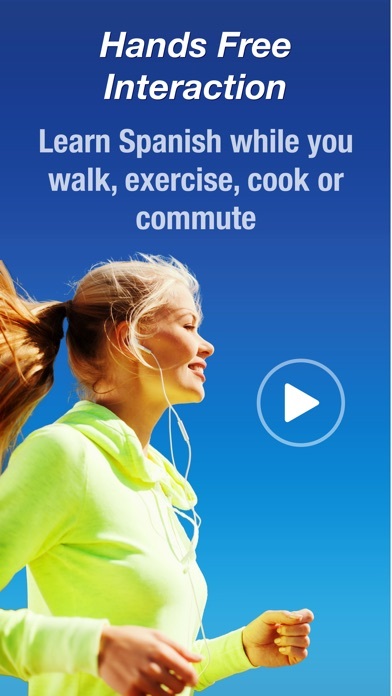 I bought Spanish, French, Italian, and German — they’re great while walking, driving, resting, etc. I love the “If you only learn 50/100/250/500 things” and the phrase book categories. I focus 1-2 months on each language, then repeat. Effective, and fun! Thanks, Nemo! Great, easy and productive way of learning a new language. Memory retention is fabulous learning with Nemo. They have fixed the voice and it is now a 5-star app again! Great work! 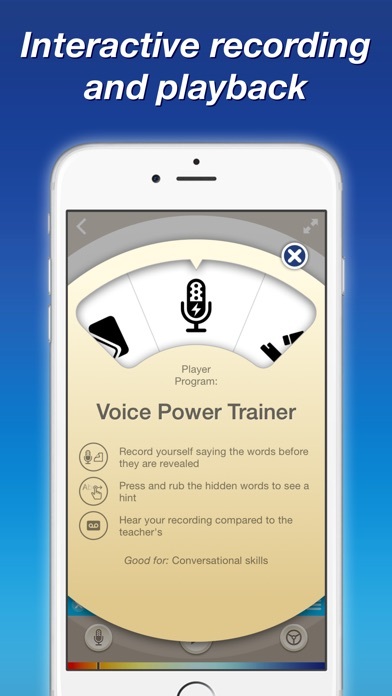 My app changed from a female reading the English word to a monotone male voice. Impossible to understand. Ruined a good app. 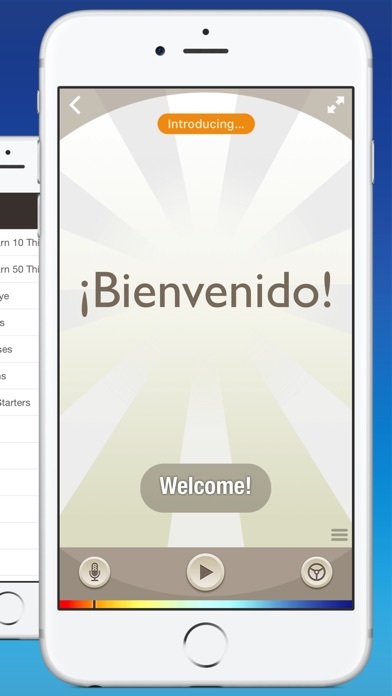 Great way to learn and practice beginning Spanish vocabulary. Love this app! Wish there were more conjugations though. But it’s amazing!!!! I believe I can really retain this language and show some love when I'm dpeaking. I'll return to update my progress. Wish me blessings. I think this app is amazing! I’m in 6th grade this year and next year I’m taking Spanish, but I didnt know anything. 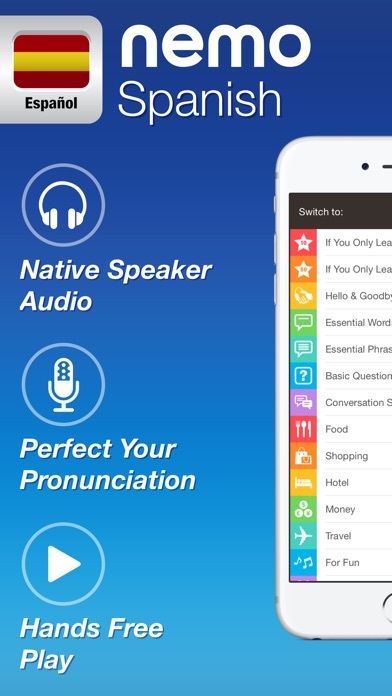 I downloaded this app after getting Duolingo and it’s Amazing! My only problem is it doesn’t provide sentence structure and there are no quizzes to see if you are improving, rather that that it’s great!